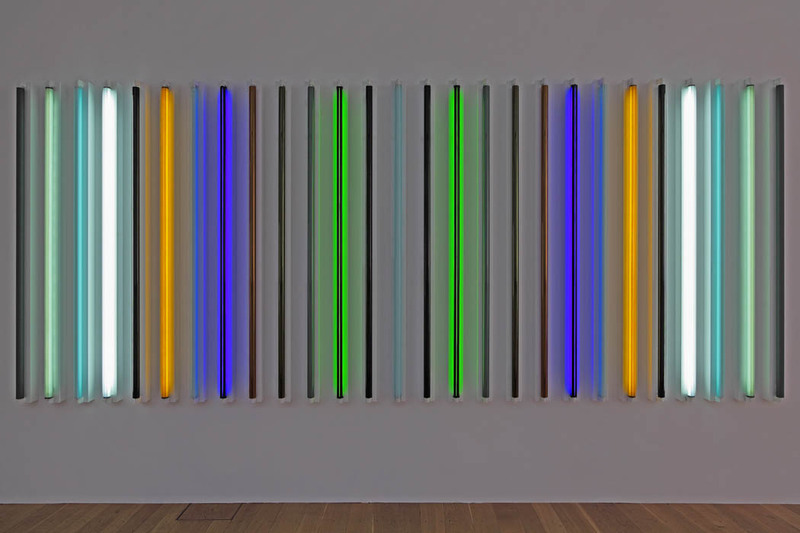 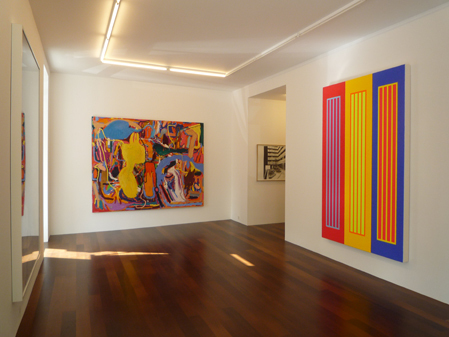 Robert Irwin explores the relationship between light and color. 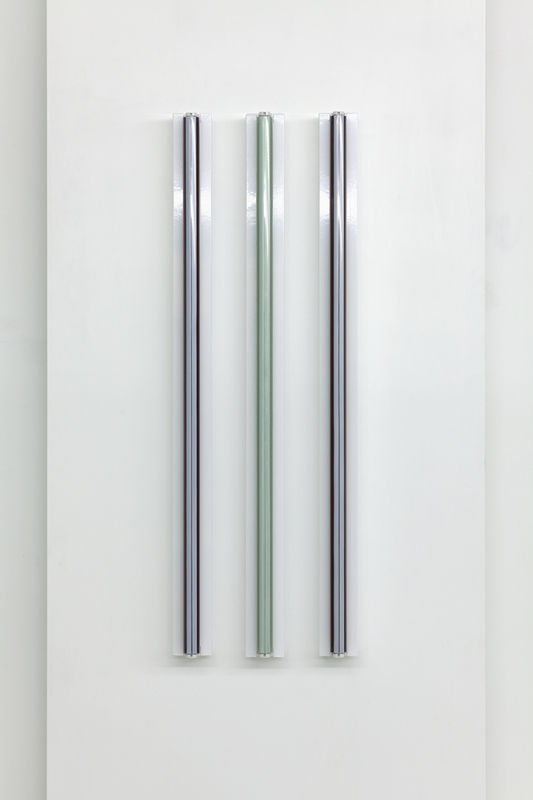 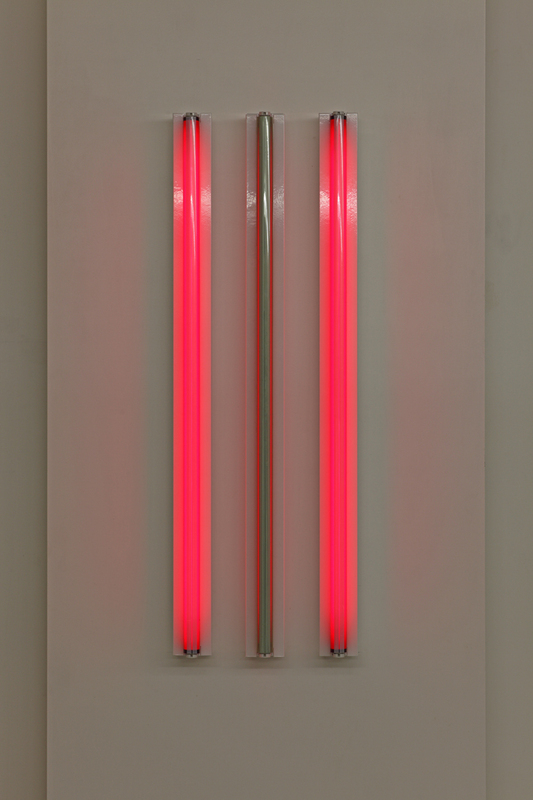 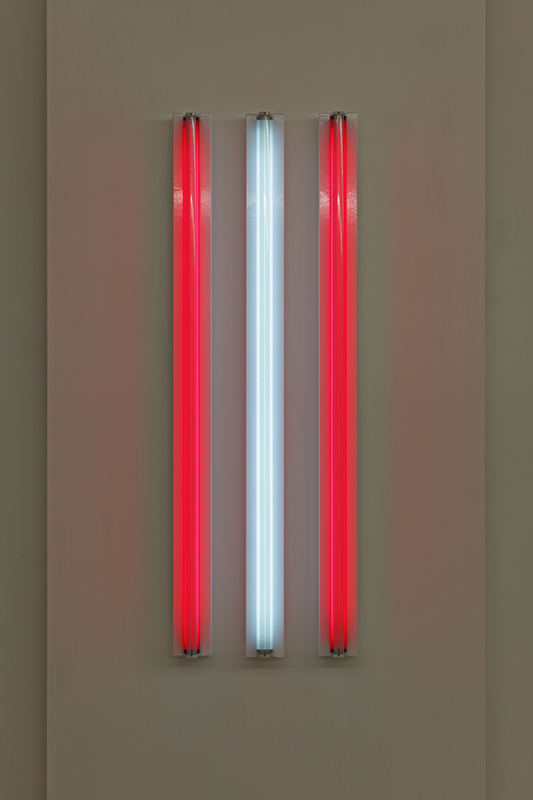 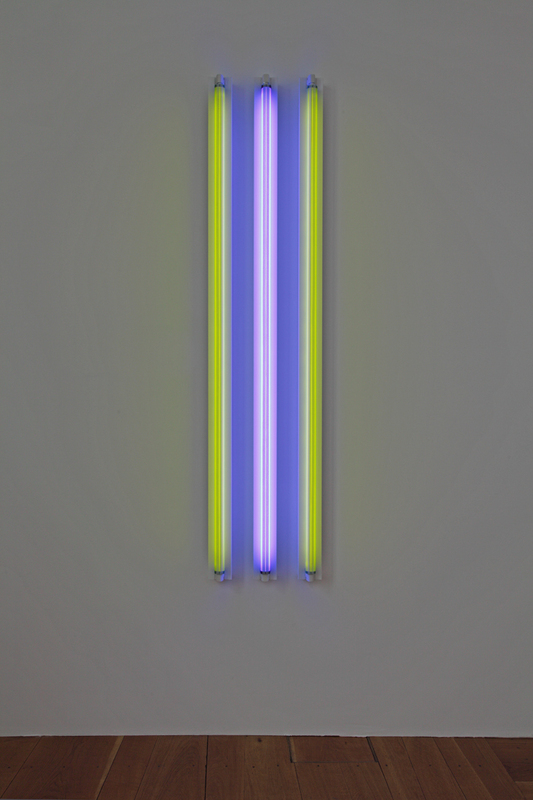 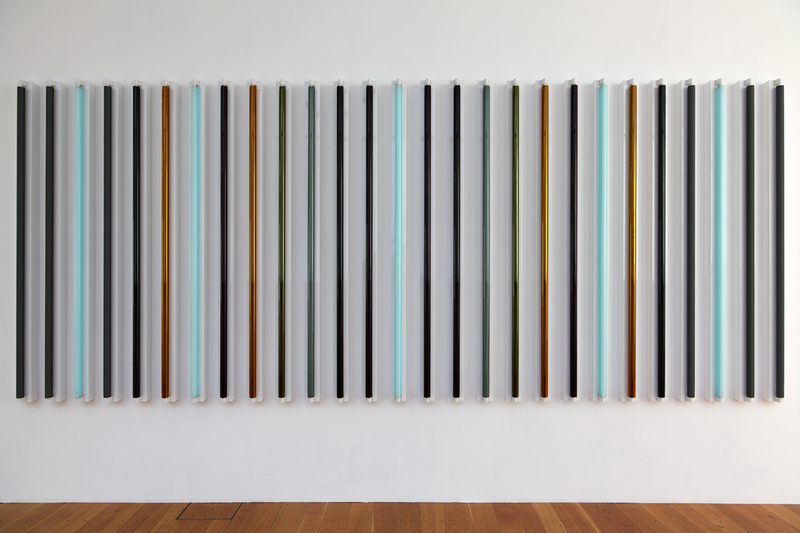 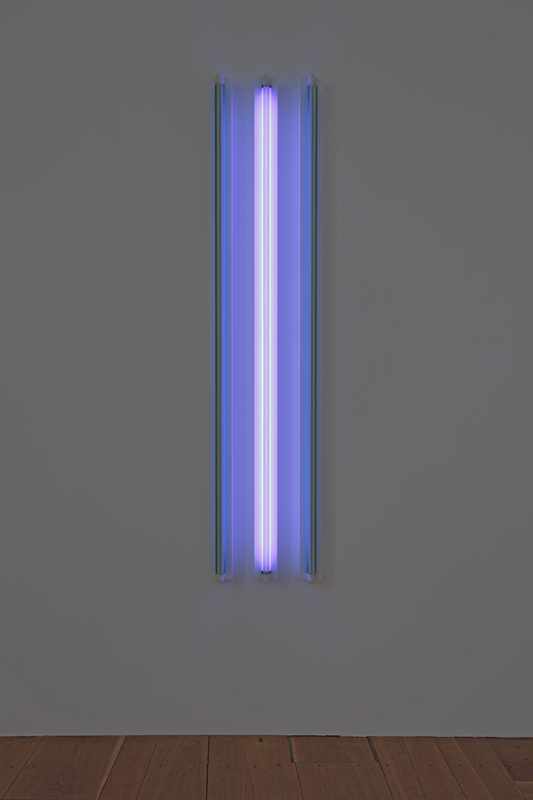 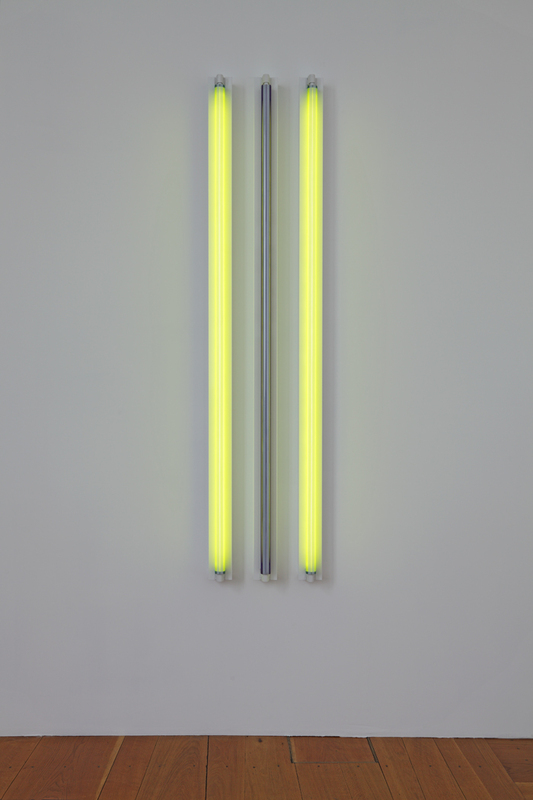 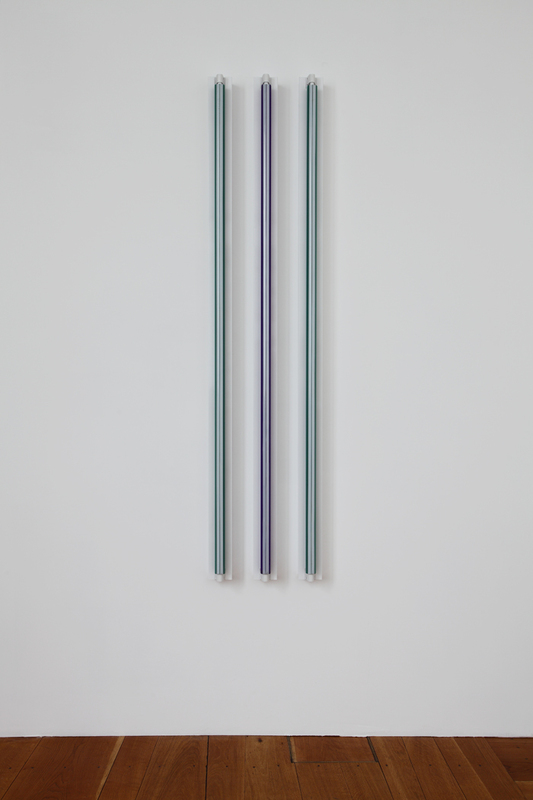 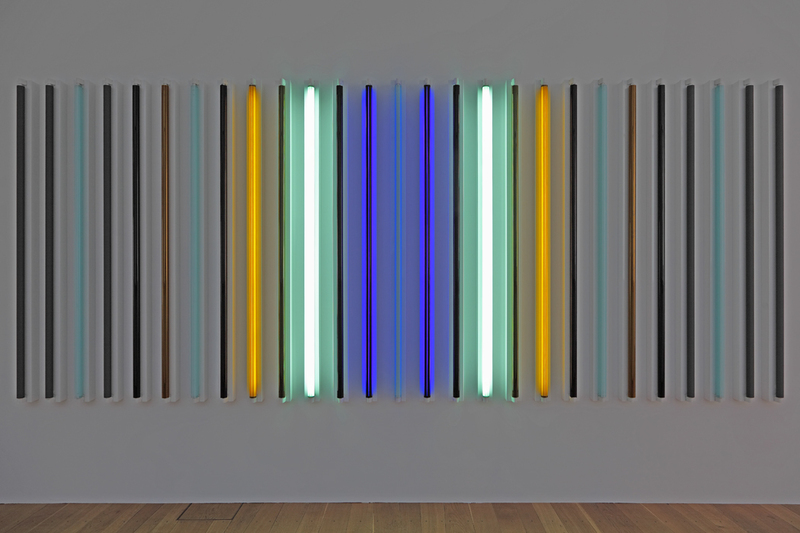 More precisely, Irwin studies the ways colors generated by the fluorescent tubes spread into the space, taking into account chromatic rhythms, syncopated alternating colors, temperatures and light densities. 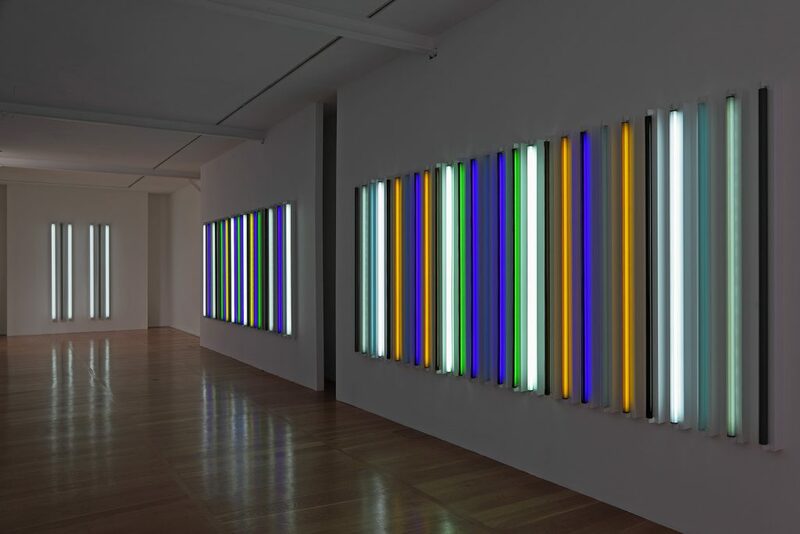 However, Robert Irwin’s artworks impact is not reduced to a formal apprehension of lighting systems; the entire space is impregnated with this harmony of colorful phenomena and natural light. 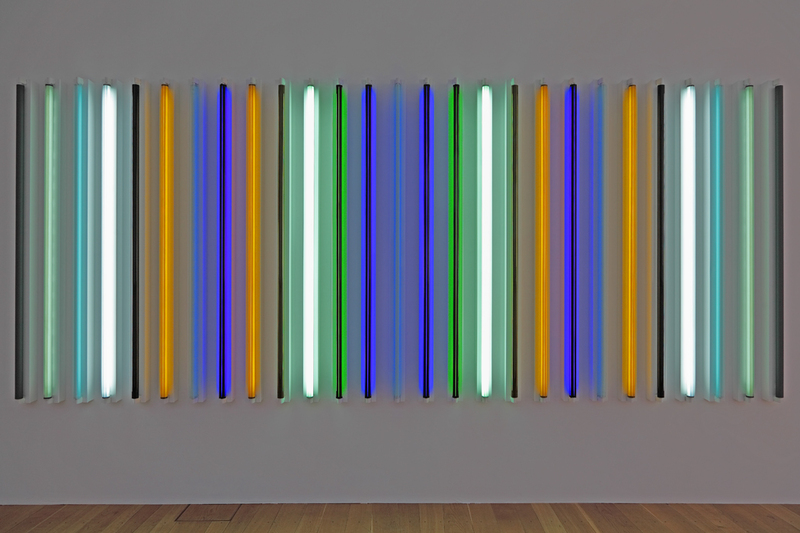 Irwin’s light installations do not seek to provoke spectacular effects, but they remain open to the sensitivity and perception of everyone, allowing as many perceptions of the work as many eyes are there to see it. 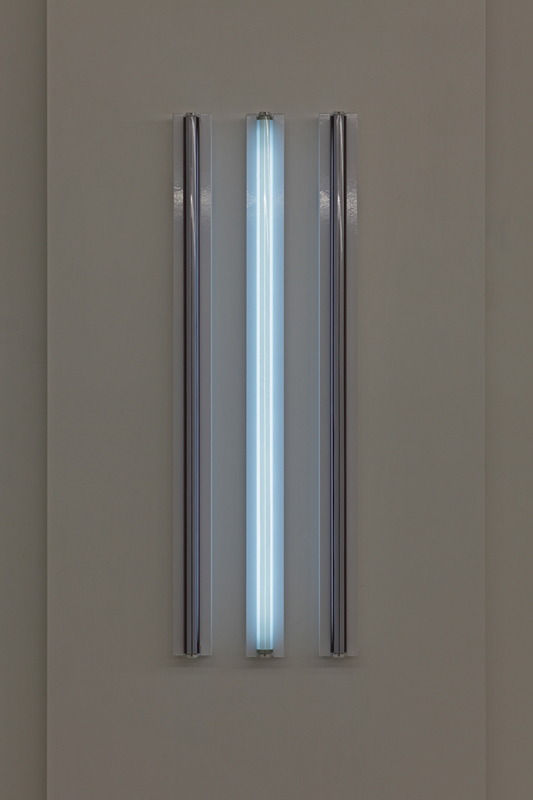 The art of Robert Irwin addresses to the viewer’s mind liberated of all prejudices. 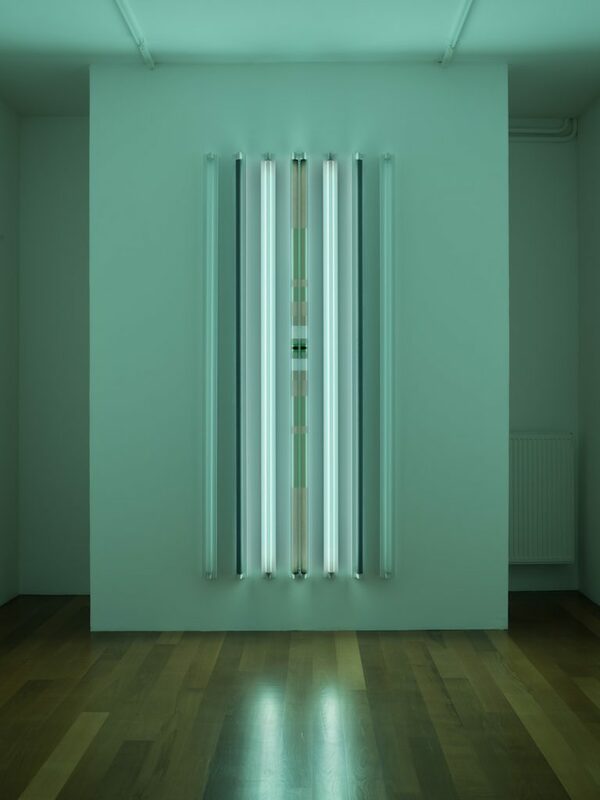 Through physical experience, the viewer’s mind hovering between feeling and intellect, between beauty and truth, can indeed open to a wider consciousness of the world.